It comes as no surprise that I make functional pots. Growing up in a family comprised of an inventor, quilter, seamstress, carpenter, and two farmers, a love for food and creative endeavors is in my blood. I choose to make highly decorative functional pottery, combining historical ceramic influences with a modern design sensibility. I grew up in Cottage Grove, MN, a suburb on the southeast edge of St. Paul, nestled between city and farmland. 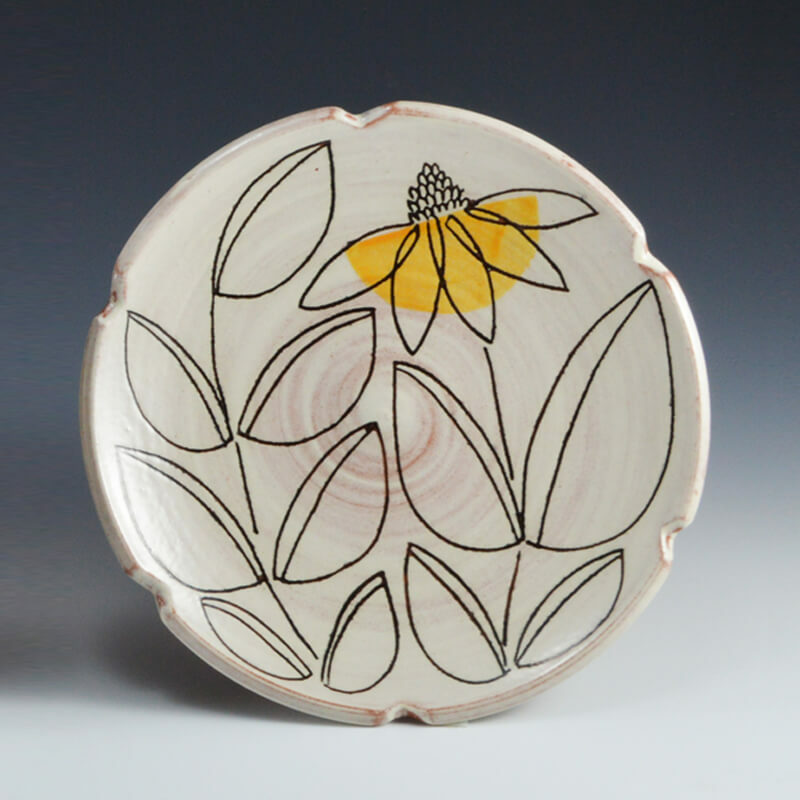 I earned my BA from Carleton College focusing on Studio Arts, and I completed my MFA at Penn State University in 2004 where I developed a love for earthenware. I returned to Minnesota and received an adjunct teaching position at Hamline University in St. Paul. During my five years of teaching at the college, I spent a summer at the Archie Bray Foundation in Helena, Montana, a month long woodfire residency in Goshogawara, Japan, a two week residency at Watershed Center for Ceramic Arts in Maine, and received a Jerome Foundation grant. I left my teaching job in 2009 when my first son, Noah, was born. Oliver arrived two years later. I was awarded a Minnesota State Arts grant in 2010 and a Next Step Fund grant in 2016. Currently, I reside in Eden Prairie, MN, where I work from home making highly decorated utilitarian pottery.